In search of flattering gowns that your ladies will love? A number of GWS weddings have featured gowns from Revelry, so we have a feeling you might just rave + revel over them! 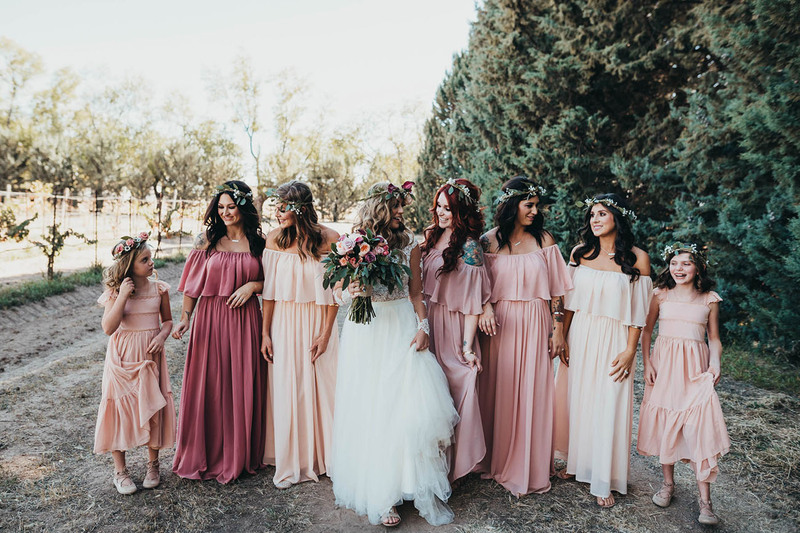 Whether you’re looking for something that fits an overall boho chic theme, or a classy chiffon number, Revelry’s dresses and separates are made-to-order with sizing from 0-32, 4 lengths, and over 100+ colors. Um, hello options… Thank you!! Oh, and they offer samples boxes and swatches to test out before you buy — all from the comfort of your home. 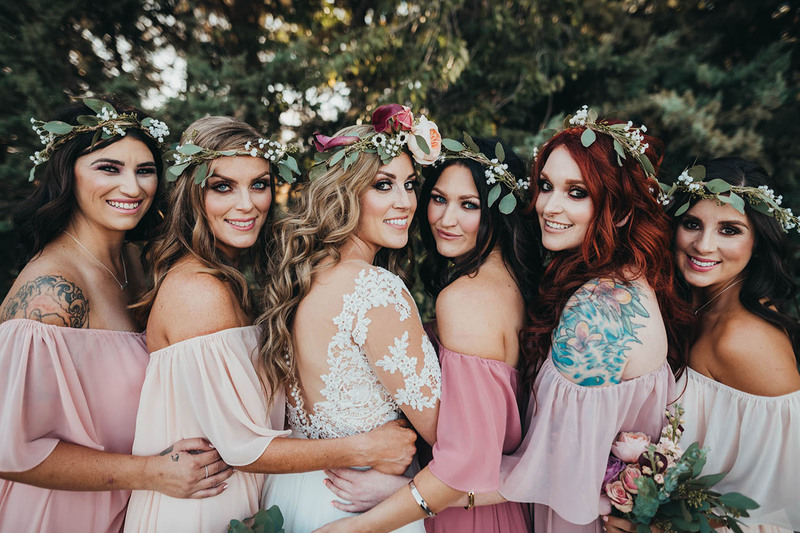 Now, let’s check out their 3 most popular bridesmaid styles that both you + your ladies will love! P.S. There’s a special offer below!! 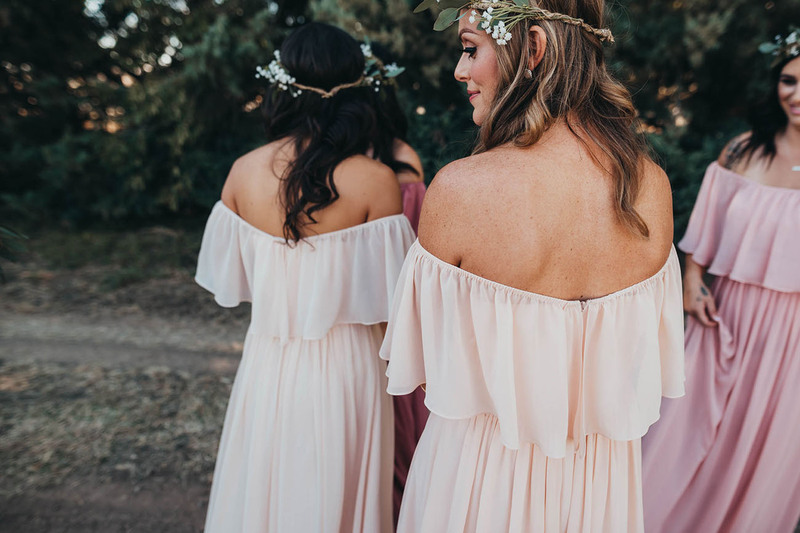 Say hello to the Rosalie gown in ‘Bradshaw Blush.’ One of our fave things about this gown (aside from that gorgeous dusty rose color) — it’s convertible, so you can wear the straps any which way you like! The perfect way to customize a dress, while still having a cohesive look. 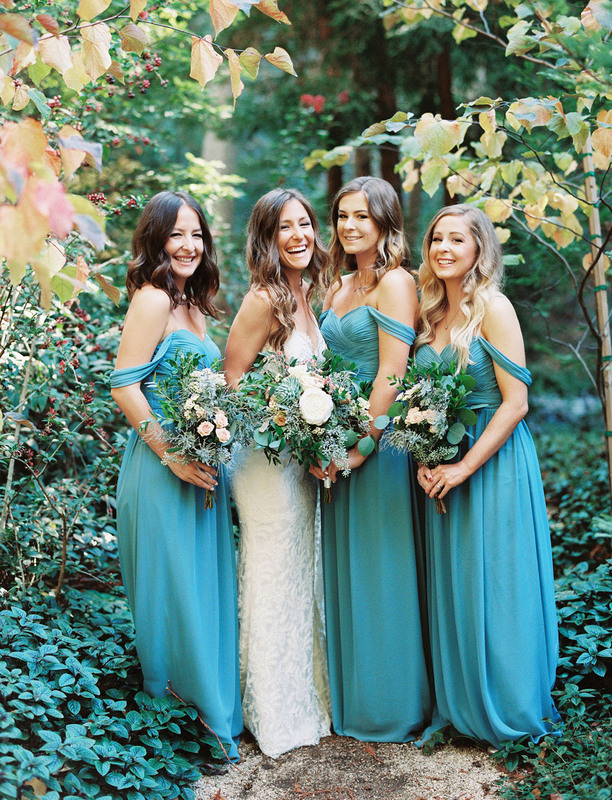 Emily, the bride from this wedding, shares: Finding bridesmaid dresses was one of the trickiest elements of wedding planning. 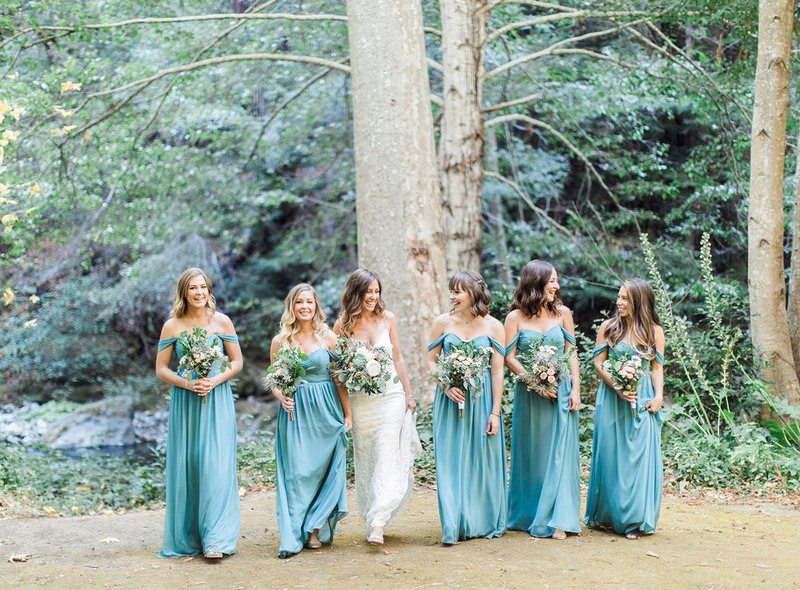 I wanted to please each bridesmaid, but between everyone’s opinions and heavy price tags, I felt like pleasing everyone (including myself) was an impossible task. 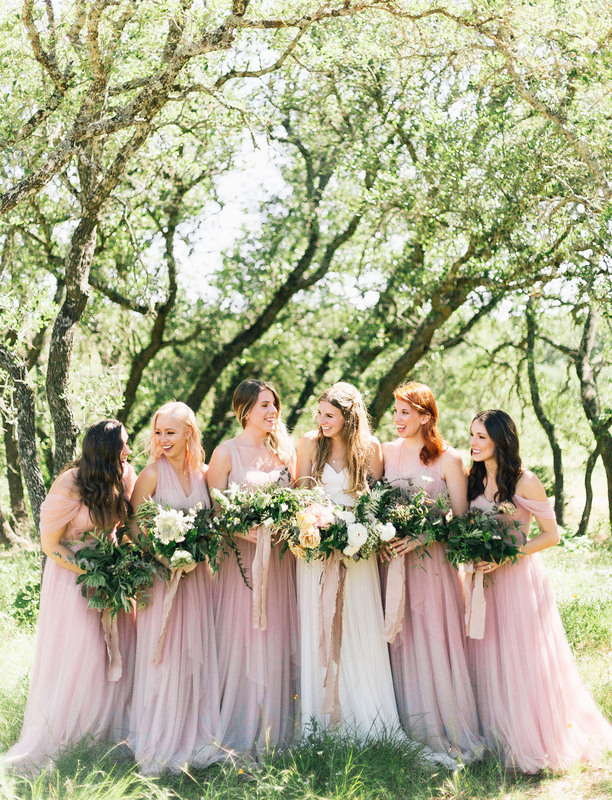 Once I found Revelry, I knew my long bridesmaid dress search was over! The Rosalie dress was the perfect option so the girls could style their dresses themselves and the price point was perfect! 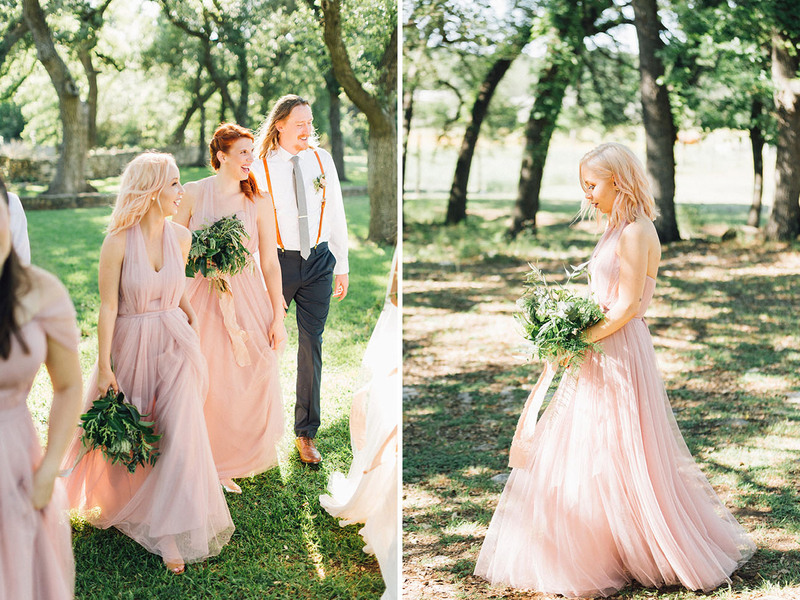 The skirts of the dresses were full of tulle and the color looked incredibly beautiful, especially in the sunlight. As a bonus, the dresses were lightweight which is perfect for Austin spring weather. I seriously could’t have been happier with these dresses! This A-line chiffon style comes with six accessories, so you can convert it any way you want! From off-the-shoulder to strapless, halter, and even spaghetti straps. We’re all about that! 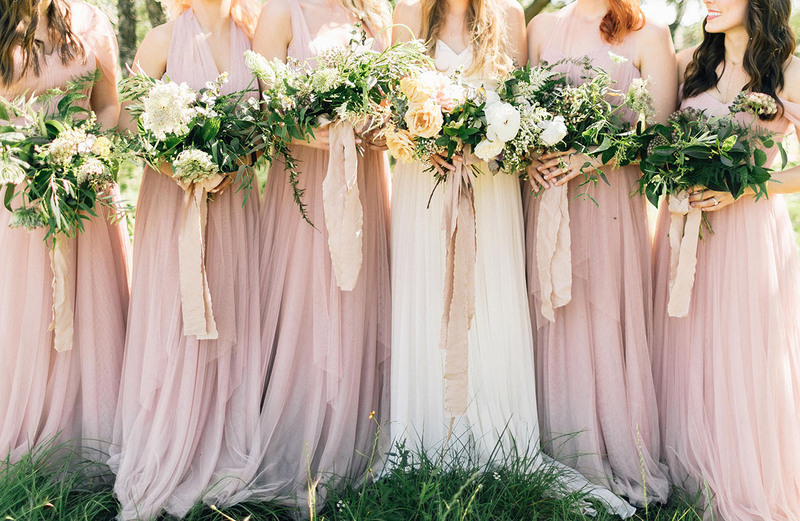 For those that want a little bit of everything… Featuring the boho chic Abigail dress in Blushing Bride, Rose Quartz, Barely Blush, Primrose Blush, and Blush, we can’t get over this collection of colors! 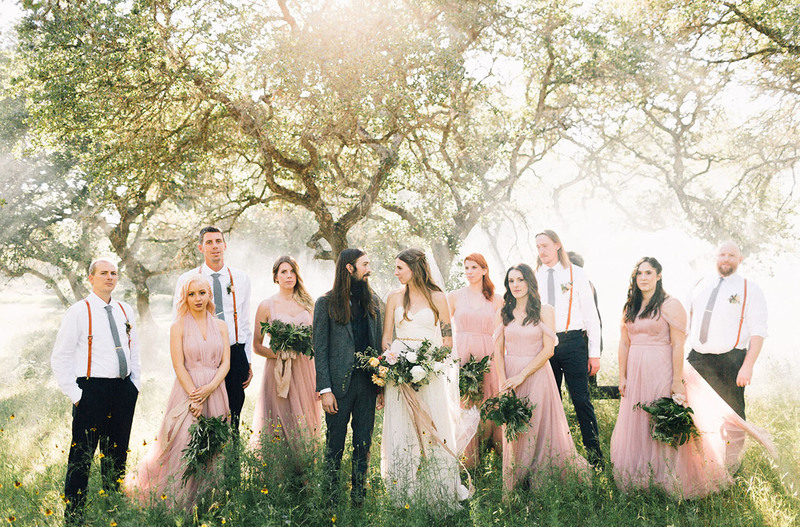 Candice, the bride above, shares: I had a vision of a very boho flower child wedding. I wanted something soft + flowy that was flattering on everyone. We wanted everyone to be a little different and have a different shade of pink while sticking to the theme. To say my vision came to life was an understatement it was everything I wanted and more. Gorgeous, gorgeous, gorgeous!! For those that are debating between several different color ways and wondering what will match best, Reverly is giving GWS readers a little somethin’-somethin’: use the code ‘GWSSWATCHPARTY‘ to get a free swatch and help with the decision making! This post is sponsored by Reverly. Thanks for supporting our sponsors! I love that blue theme! So cute!